Good oral health begins with basic care at home and continues with the preventive services you find at Dr. Schumacher’s dental office. 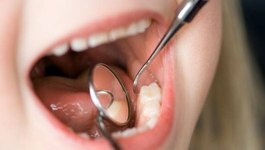 Preventive dentistry in Wakefield is an important focus for any practice because small problems have a major impact if they are not addressed quickly. Our team is committed to diagnosing and treating all issues as soon as possible to preserve your smile’s health, strength, and beauty. Your teeth are designed to last for a lifetime with the right care over the years. Besides brushing and flossing, routine cleanings and checkups are vital for maintaining the health for your teeth and gums. Not only are preventive visits essential for keeping your teeth clean, but also for diagnosing common oral health problems, like tooth decay, periodontal disease, oral cancer, and TMJ disorders to enhance your overall well-being. The young smiles in your home require the same care as adults. Their oral health and development rely on the right foundation. Dr. Schumacher provides pediatric dentistry to support the health of your child’s primary teeth while also nurturing the development of their permanent ones to help them establish beautiful, healthy smiles that last. Dental sealants are a clear plastic coating applied to the chewing surfaces of the teeth to give an added layer of protection against cavity-causing bacteria. When applied to cavity-prone areas, like the crevasses of the molars, it significantly reduces the risk of decay. Although they are often recommended for children, you are never too old to benefit from their protection. All too often, oral cancer is not diagnosed until it has reached advanced stages or spread to other areas of the body. Dr. Schumacher provides early detection with routine oral cancer screenings. He looks for early warning signs of the disease, such as sores or lesions. If a suspicious area is found, a biopsy is sent for testing and he will notify you of the results. 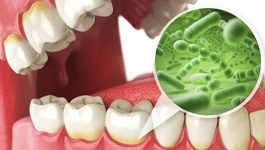 Although it is preventable, 50% of adults have a form of gum disease. Dr. Schumacher looks for signs of the infection to provide you with customized solutions to prevent irreversible damage. He uses the latest advancements in dentistry to stop the infection in its tracks while also providing the maintenance cleanings you need to prevent it from reoccurring. A sportsguard is a vital piece of protection when participating in sports. Dr. Schumacher uses high-quality material to provide you with the custom-fit oral appliance you need to protect your teeth and gums from injury. No matter if you are riding a bike or playing football, he is happy to create a mouthguard for you or your child. If you suffer from reoccurring jaw pain or have a bad habit of grinding your teeth, Dr. Schumacher can give you the relief you need with a nightguard. The custom-fit oral appliance repositions your jaw into a more comfortable position to take pressure off your temporomandibular joint. It also acts as a protective barrier between your top and bottom teeth to prevent damage from clenching. 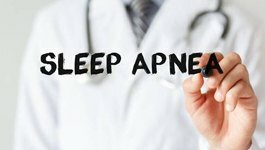 Now, you can treat sleep apnea without a CPAP. Dr. Schumacher can stop your snoring and help you breathe easier with an oral appliance. The device repositions your jaw forward to keep your airway open. This prevents pauses in breathing to effectively treat mild to moderate cases of obstructive sleep apnea. 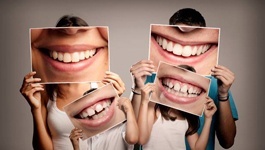 Digital x-rays give Dr. Schumacher a complete picture of your oral health. He can look for issues that may be brewing beneath the surface for more accurate diagnosis and treatment. The advanced technology provides a safer and more comfortable process when compared to more traditional x-rays. If it has been more than 6 months since your last cleaning or checkup, do not wait. Contact Schumacher Dental today to schedule your next visit.